Buy PlaystationDatacenter a Coffee. ko-fi.com/playstationdatacenter - Ko-fi ❤️ Where creators get paid by fans, with a 'Buy Me a Coffee' button. Hi everyone. My name is Juan Álvarez, I'm spanish and I am the owner of the PSX Datacenter website. 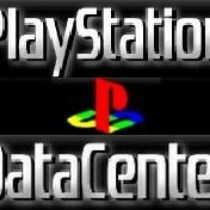 The Playstation Datacenter Website I opened the PSX Datacenter in the year 2007, in the year 2012 I opened the PS2 section and the PSP section was added in 2015. The goal is to be most complete PS1 & PS2 database. The site doesn't offer games is just about games information. Secured Payments. Support goes to PlaystationDatacenter's account. Upgrade PlaystationDatacenter to a yearly Gold Membership with a one-time payment.